Dr. Arthur Noble is a brilliant first-year medical resident in San Francisco, who has a stellar career ahead of him. However, all of Noble’s skills are put to the test when he encounters a strange new illness. The ailment seemingly appears out of nowhere, and serves its victims a most horrible and brutal death. Noble struggles to find answers to the medical mystery, even as many researchers and society refuse to believe it is a serious threat, or that it even exists. 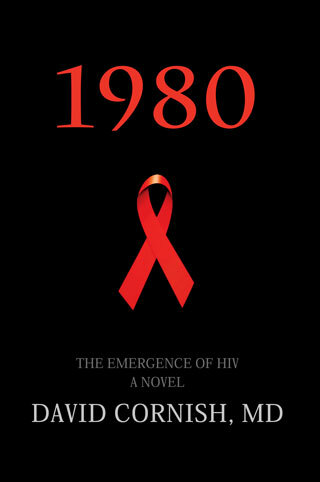 1980 is an authentic medical story about a disease that will eventually have an unimaginable impact on the entire world. Major Edward Noble is a new type of physician in America; a doctor of Internal Medicine, and a subspecialist in Infectious Disease. His primary mission is to help protect American troops from infectious ailments during the First World War. However, Dr. Noble’s unique vantage point in Boston allows him to detect an emerging influenza strain that is an unprecedented global threat. The U.S. Army Internist desperately attempts to warn and prepare the country for the approaching horror. Influenza’s effect on the world, the nation, and Dr. Noble’s own family unfolds, as medical science seeks ways to somehow stop it. Eventually, the 1918 influenza pandemic killed up to 100 million people, and became the worst natural disaster in human history. 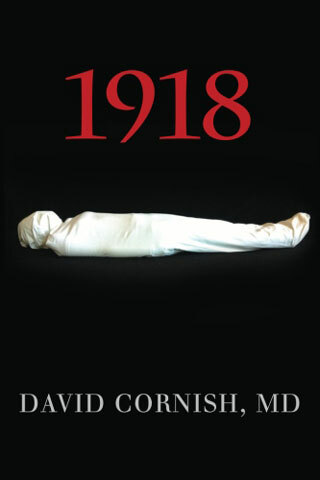 The novel “1918” is rigorously researched and accurate historical fiction, told through the eyes of a physician. 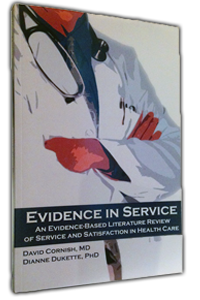 Evidence in Service is an evidence-based review of important health care service and satisfaction studies in the psychological and medical literature. It is intended for anyone who seeks to improve the way patients and purchasers view health care services. The authors wrote the book because, oddly, American health care rarely uses its own evidence-based research to better the service and patient satisfaction it delivers. The book seeks to introduce health care groups to the very large body of research on this topic.The book addresses a number of different health care service topics by using evidence for and against various approaches. The book’s major sections are “Evidence-Based Dressing”, “Communication”, “Managing Patient Satisfaction”, “Empathy”, “Ethnicity”, “Information for Patients”, “Trust”, “Gender”, and “Miscellaneous”. The book addresses a number of different health care service topics by using evidence for and against various approaches. The book’s major sections are “Evidence-Based Dressing”, “Communication”, “Managing Patient Satisfaction”, “Empathy”, “Ethnicity”, “Information for Patients”, “Trust”, “Gender”, and “Miscellaneous”. What distinguishes a good health care team from a great one? A dedicated, experienced, and diverse group of health care professionals were brought together to ponder this important question. During its deliberations, the group carefully formulated twenty essential, yet simple, concepts that exemplify a superior team. These concepts are The Essential 20. This book is written specifically for front-line health care support staff that either are in training or are reviewing their teams’ effectiveness. 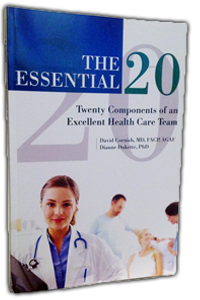 It is hoped The Essential 20 can be both a template and a measure of a team’s continuous pursuit of excellence. © David Cornish 2019 | All Rights Reserved.